Cabaret entertainment + heavy appetizers + drinks + desserts + silent auction + high-energy dancing + live music. $75 - Individual Tickets. $600 - Table of six. No tickets sold at the door. 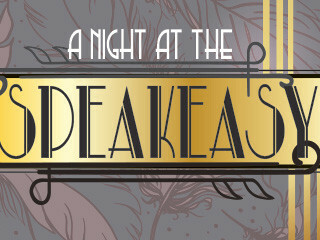 Want to dress in the 1920s, flapper, Great Gasby or prohibition era? BRING IT ON! Proceeds benefit Mustang Outreach Program and The Elizabethan Gardens. Corporate sponsorships are available, call 252-473-3234 for details. OAK CITY AMARETTO, a local, hand-crafted liquor is one of our Speakeasy sponsors. Oak City Amaretto uses all NATURAL and US sourced ingredients that provide a SMOOTH and CREAMY taste without any overt sweetness or bitter aftertaste. Delicious on the rocks, in your favorite drink or used for your favorite pound cake. Ask for it at your local ABC store. The gardens are open year-round, seven days a week except certain holidays. All sales are final. However, if The Elizabethan Gardens is officially closed or an event is cancelled due to weather-related issues, then refunds or exchanges will be given. If in doubt, please call ahead: 252-473-3234.